Will Samsung introduce two foldable phones in February 2017? Samsung has been developing foldable OLEDs for a long time, and several reports in the past few months suggested that Samsung is working on a foldable phone, to be released in 2017. According to Bloomberg, Samsung actually aims to release two kinds of foldable phones - as early as in February 2017. 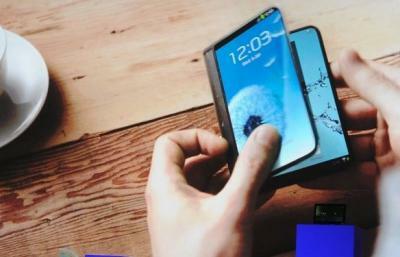 The first one will be a regular-sized phone that folds into a small device (clamshell style?) while the second will be a 5" phone that will open to become an 8" tablet. If true this is very interesting - the only question is what will consumers prefer? I would assume most people will like to have a phone that opens into a tablet. But I would assume the other variant will be a lot cheaper as the display will be much smaller.